It’s a gut-wrenching feeling – reaching into your pocket, wallet or purse for your credit card and coming up empty. Yes, in this era of hackers and cybercrime, physically losing your credit card and potentially putting it into the hands of thieves is still a concern. Continue reading below to learn how to mitigate the damage and hassle associated with losing your plastic. Hopefully, this search will reveal more than just loose change and receipts. But if it does not produce your credit card, it's time to progress to step 2.
Credit card companies recommend that consumers contact them immediately upon a credit card being lost or stolen. Some allow you to do so either online or over the phone, while others require a phone call. This notification enables them to mitigate the damage that could result from someone gaining unauthorized access to your account as well as expedite the timeframe for a solution – sending you a replacement card. Contact information for the largest credit card issuers can be found below. One thing that you must take care of once you receive your replacement plastic is update all recurring bills (e.g. car payments, rent, mortgage) where your former card was used for payment. This will prevent service interruptions, late payment penalties and potential credit score damage. You can identify your recurring monthly bills by checking to see which items regularly appear on your monthly credit card statements. 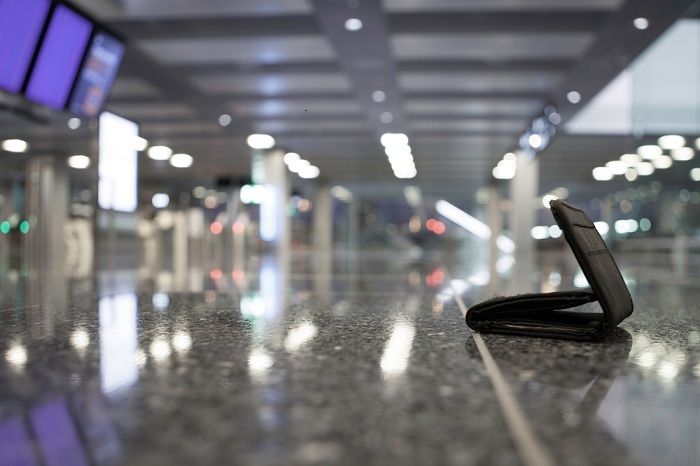 Are You Liable if Your Card is Lost or Stolen? While losing a credit card is never fun, you’re far better off losing that than a debit card or cash. Not only do credit card companies proactively monitor consumer accounts for signs of fraud, but none of them will hold you responsible for any unauthorized charges should they crop up. Credit card users all benefit from across-the-board $0 fraud liability guarantees. Cash, on the other hand, you’d never get back. And while debit cards do offer some fraud protection, you'll need to sign for your transactions (as opposed to using your PIN) in order to be assured of coverage. What’s more, debit card fraud necessitates getting back money that has been removed from your bank account, the absence of which could have already caused a domino effect of damage across the rest of your personal finances (e.g. bounced checks). With a credit card, you don’t actually have to pay for anything out of pocket for at least 21 days from the time you receive your monthly statement. You therefore have plenty of time to notice and deal with unauthorized charges before being asked to foot the bill for them. That is why you should carefully review your credit card statements in the aftermath of losing your plastic in order to make sure no suspicious charges appear. If signs of fraud are indeed found on your account, your credit card company will likely issue you a new card with a new number. There are a number of steps you can take to both avoid losing your credit card in the first place and minimize the fallout should you ever do so. Make It a Habit: Always make sure to put your credit card back into your wallet after you’re done using it. Don’t just throw it in a pocket and plan to switch it over later. If you don’t make this a habit, losing your card will be an inevitability. Don’t Open a Tab: Opening a tab at a bar is one of the easiest ways to lose your credit card. Not only are you drinking, which will increase your forgetfulness, but different bars have different policies in terms of returning your card either when you open or when you close your tab. Paying for each of your drinks individually will also decrease the number of drinks you buy and the amount you ultimately spend. Try to Avoid a Fee: Some credit cards charge replacement fees, but you might be able to avoid a charge if you’ve never lost your card before and/or you’ve been a model customer. Anyway, it never hurts to ask. Have a Backup: It's a good idea to have more than one credit card because it enables you to get the best possible terms for the different types of transactions you need to make. It also increases your overall credit availability and gives you an emergency means of spending should you lose your primary money source. Trust me, you’ll be happy that second card is there if you ever lose the first. Put the Issuer’s Number in Your Phone: Most credit card companies have a dedicated phone line that customers can call if a card is lost or stolen. Issuers also have another, toll-free number that you can use if you’re out of the country. Logging those numbers into your phone now could save you time and effort later in the event you ever find yourself sans credit card. Place a Freeze or Fraud Alert on Your Account: In addition to simply reviewing your credit card bills for suspicious charges, there are steps you can take to shield yourself from fraud in the aftermath of a lost or stolen credit card – including placing either a credit freeze or a fraud alert on your credit report. The former will prevent anyone from accessing your credit reports, as would need to be done to open a new account under your name. The latter informs potential creditors that you may be a victim of fraud. PREVIOUS ARTICLEHow to Stay Out of Debt: Tips, Strategies & MoreNEXT ARTICLE ATM PIN Number Reversal: Myth or Reality?